Lake District Scenic Drive, England | Historic Towns, Classic Road Trip! Located in the north-west part of England, the Lake District in Cumbria is one of the most scenic mountainous areas in the UK. It is famous for its stunning lakes, mountains and forests and attracts many tourists each year. There are a number of scenic drives in the area for visitors to enjoy. If you find yourself travelling to this part of England, make sure that you plan your rental car, accommodation and trip in advance so that you can make the most of every minute of your trip. There is lots to do in the Lake District, and suggest staying several nights. However if you only have a day, then you could try these scenic drives in the Lake District. 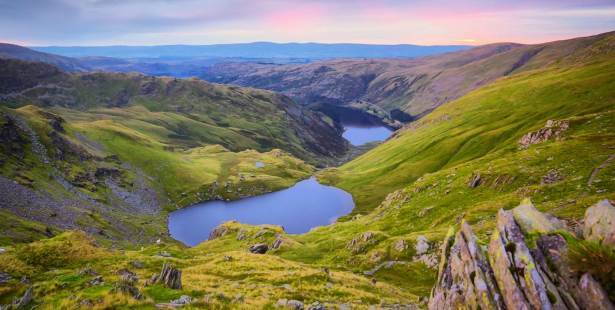 If you only have half a day to spare in the area for a scenic drive and adventure, then you can make your way around the Windermere and Coniston areas. The route is just 40 miles long and will allow you to visit Bowness where you can boat trips and cruises on the lake before moving on. Continue on your way to Newby Bridge and, if you are up for another stop, you can visit the Lakes Aquarium or enjoy a ride on the Lakeside and Haverthwaite Railway. From here, you will make your way to the Penny Bridge, turn off towards Coniston and travel through the lovely village of Torver. Here you can enjoy a fine view of Coniston Fells before reaching Coniston itself. Once in Coniston, you can explore the area by foot, horse or enjoy water tours and activities like kayaking. Local sights include Brantwood and the John Ruskin Museum. For a longer drive, you can enjoy a circular route from Windermere that includes the Kirkstone Pass. Staring at Lake Windermere, you will make your way to the Kirkstone Pass. On the way, you may wish to stop at Holehird to view the local gardens, the Troutbeck conservation village and the National Trust property of Townend. While driving along Ullswater, you will be able to enjoy some of the best lake views. If you have the time to stop in Glenridding, you can experience a trip on one of the old Ullswater “Steamers”. From here, you will drive on to the Pooley Bridge and Tirril. In the centre of Cliburn, you can visit a working Victorian steam-powered pottery manufacturer. Maulds Meaburn is located in the Lyvennet Valley and is another lovely place to stop before you make your way back to Windermere.